Hello everyone! We are back with more important updates! Get to know and understand the new Winstar Casino Spring promotion. This is a brand new deal where you can get 310 Free Spins! That’s right, we have a major spring promotion that is starting this Friday on March 1. If you are a current player at Winstar, you can enter this casino now and start playing right away. 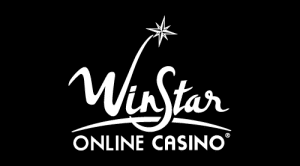 Alternatively, if you have not yet discovered the exciting services at this site, you can read our Winstar Casino review first. As a result, you will have a better understanding of the services they provide. If this doesn’t bother you, of course, you can make your own judgement. But be sure to let us know what you think in the comments! First and foremost, this is available to players 18 and over only. Opt-in is required. This exclusive deal is available for previous depositors only. 10 bonus spins awarded after wagering £30 (or currency equivalent) on any slot after opt-in. 10 further bonus spins awarded once per day until 31st March. Bonus spins valid on Aloha! Cluster Pays, Berryburst Max, Reel Rush, Stickers, Strolling Staxx: Cubic Fruits. Each set of bonus spins are valid for 24 hours. Winnings from bonus spins carry a Wagering Requirement of 30x. Promotion valid until 23:59 31st March. Full Terms & Conditions apply. We do not encourage unresponsible gambling and we only provide you with these gambling services for the entertainment factor. Therefore, please gamble responsibly and set your limits. Finally, let us know your thoughts of this brand new promotion in the comments section below. We look forward to hearing all of your experiences as we continually strive to provide the best online casino services to you. As always, thank you and on behalf of the Casino4U team, enjoy this Winstar Casino March offer!